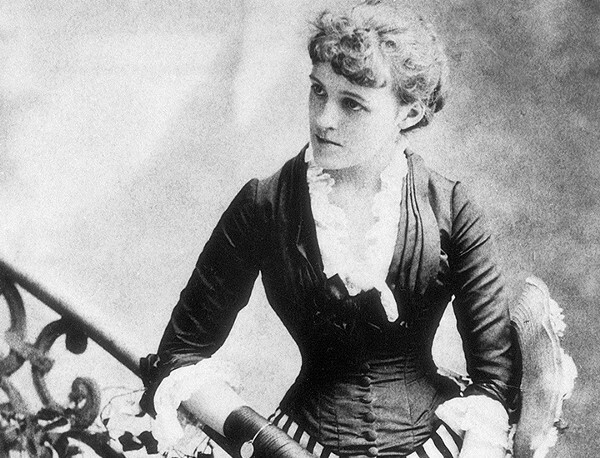 Edith Wharton, the first woman to win the Pulitzer Prize in Literature, had a productive strategy for writing. She wrote in bed every morning for over twenty years. She woke up early and wrote until 11 a.m. Writing in bed was for Wharton as much a matter of practicality as it was productivity. If she got up and got dressed, she would have had to put on her corset. By staying in bed, she could avoid wearing that restrictive garment. 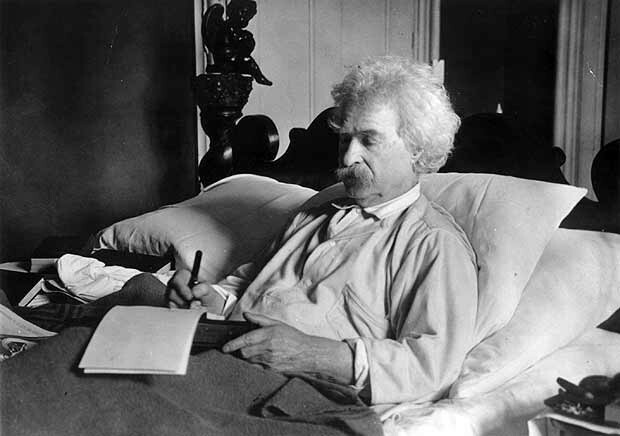 Writing in bed prevented people from interrupting Wharton while she was writing. It also kept anyone from seeing her working on a novel. Many women have had to hide their writing endeavors over the course of history. Some are still hiding behind their initials today. Wharton was a wealthy woman. She enjoyed luxuries most of us will never know. Her writing process was this: She wrote in bed longhand and let her completed pages fall to the floor. Her maid would then scoop them up and take the pages to a secretary to type. If you ever visit her home, The Mount, in Lenox, Massachusetts you can see the bedroom from which she wrote many of her most celebrated works. I found the visit inspiring. Writing in bed early in the morning can be a very creative experience. You aren’t very far from your dreaming state. You aren’t entirely awake. You are somewhere in between. Your body is relaxed. There’s a sense of peace and calm. Whether you write in a notebook, a laptop, or tablet, you can find fresh ideas at the start of your day. Other great writers like James Joyce, Marcel Proust, Mark Twain, George Orwell, William Wordsworth, Vladimir Nabokov, and Truman Capote also wrote in bed. Proust wrote in bed because it was where he spent most of his time. His health was bad and he was almost blind. James Joyce wrote lying down, like Proust, he had difficulties with his vision. He used crayons to make his work easier to see. Some writers choose to write from bed because it made their work easier. Truman Capote had a practice of writing in bed or stretched out on a couch. Romantic poet William Wordsworth used the darkness of night to write from his bed. He preferred to write in the absence of light. The night, like the early morning hours can be a creative time. We’re close to our dreams. We’re warm and relaxed. Most creative people will find ideas in the middle of the night. Vladimir Nabokov wrote his novels on index cards. He kept a supply of blank cards inside his pillowcase so he could capture any thoughts that came to him during the night. I find it’s difficult to turn on the light and write down an idea in the middle of the night. I hate the harsh light. I tried writing in the dark or writing on my phone. Neither strategy worked for me. When I write in the dark, I can’t always decipher my writing in the morning. I don’t like writing on my phone because it doesn’t feel quick enough. Once, I tried to record a thought in the middle of the night. The sound of my voice chased my words away. Now, when I need to write in bed in the thick of night, I light a candle. I keep a votive candle and a pack of matches on my night table. Candlelight feels perfect for late night thoughts. Honoring creative thoughts whenever they occur is essential to expanding creativity. If we reject our creative flashes, if we believe they are not worth the effort to preserve, aren’t we rejecting ourselves a little? Will we end up closing a door it would be better to keep open? Write when you are most creative. Writing in bed whether early in the morning or late at night can allow you to open a new creative channel. But if writing in bed doesn’t appeal to you, you could try writing while standing like Ernest Hemingway and Virginia Woolf.